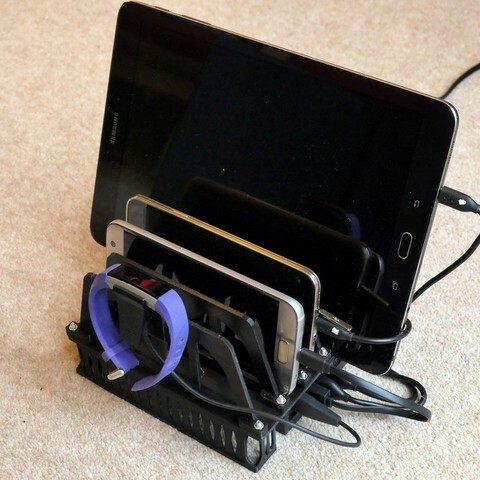 A charge station that will help keep things tidy when charging multiple mobile devices. 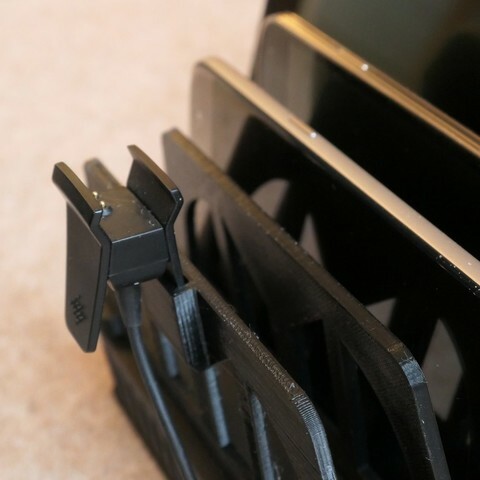 It can hold up to 5 devices and there is an option to allow a fitness watch/band charge clip (only tested with Fitbit Ace) There are small and large partitions to allow for either phone or tablet. 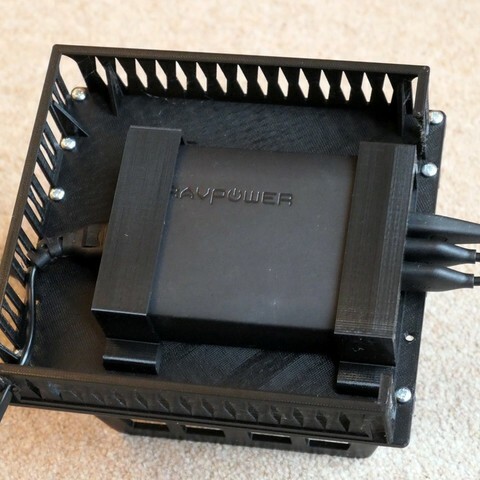 It is designed to the take a RAVpower 60-Watt charger (102 x 70 x 30 mm) normally available from Amazon. It also needs 10pcs of M3 screws 8 - 10 mm in length with M3 nuts. Prints without supports. Partitions with the pocket for a fitbit clip need to be printed vertically. 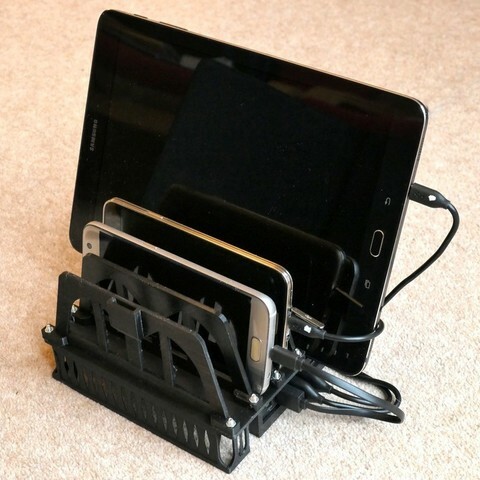 If charging a tablet, print one of the larger partitions for the tablet to lean against and if the tablet is large, you may want to leave out one of the partitions.